Think you have the next great iPad app idea? 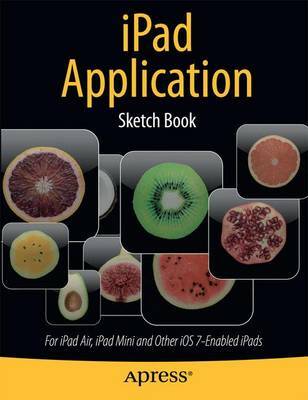 The iPad Application Sketch Book is an essential tool for any aspiring iPad developer. This sketch book makes it easy to centralize and organize your ideas, featuring full-sized iPad templates to write on. Professionally printed on high-quality paper, it has a total of 150 gridded templates for you to draft ideas and doodle designs while providing ample room to make notes, and document the app name and screen name. Its flat binding and perforated pages make it ideally flexible for any use you might think of. This book is a must-have and an invaluable tool for bringing your next great iPad app idea to life!